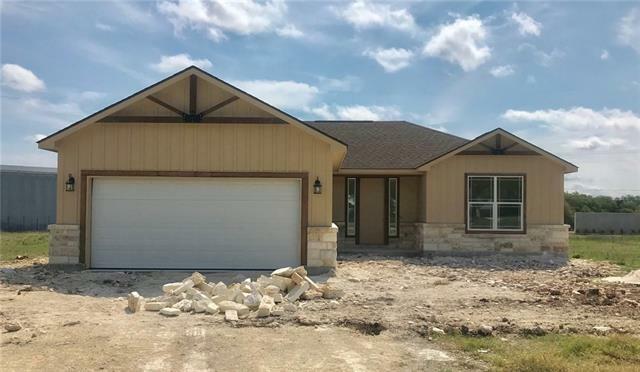 Beautiful opportunity for first-time buyer or the owner looking for upgrades!--3 bed/2 bath 1-story designed for TX living! C/O expected mid-April on open floor plan, nearly 1/3 acre lot--one of the largest in the neighborhood! Select your own finishes--granite, hard-tile & vinyl plank. Ripple Rock Homes is committed to quality & efficiency! No HOA & low tax rate make home even more affordable! Just past Liberty Hill in Bertram--easy commute to Austin or Burnet via HWY 29! Ask about Special Financing!